One of the main landmarks of the Mission District of San Francisco, the historic center of the Chican@ and Latin@ community of San Francisco, is the 16th Street BART station Plaza. This plaza has multiple uses, and embodies multiple forms of sustainability. It is a commuting point, a “transit hub,” and an example of sustainable transportation, with both BART and MUNI lines stopping there. These lines primarily serve low income and working class people, who are the majority of residents in the local community, as well as the main riders of public transit nationally. Related to this, it is also a site of vernacular and justice oriented sustainability: a place where neighborhood residents gather; activists rally and protest; mostly Latin@ immigrants sell foods (paleteros, eloteros, tamaleros, etc.) and other items (flowers, toys, etc.) to make a living; and a place for the homeless to sit, sleep, and eat. Also important to note is that, there are several social services and affordable housing opportunities for poor and working class people and their families—the majority population of the Mission District—in the area surrounding 16th and Mission St.1 This “open air living room,” as community organizers call it, has served as a useful open space for community members for many years. Yet the BART plaza is at the center of another dynamic affecting the Mission, and San Francisco generally: gentrification. Gentrification in the Mission has led to a dramatic change in demographics, and resulted in the rise of evictions and an increased rate of displacement, most significantly among African American and Latin@ residents.2,3 It has led to a clash of cultures between the incoming middle/upper class residents and the majority working class residents of the Mission. And increasingly, it has been associated with the development of eco-friendly, urban amenities, like luxury green housing alongside transit hubs—a process referred to as eco- or environmental gentrification. 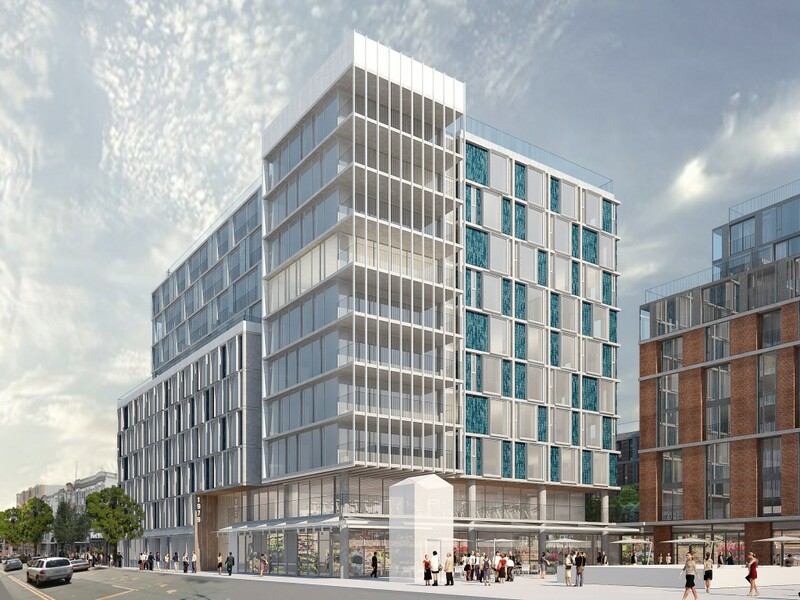 Today, 16th and Mission has emerged as an epicenter of these kinds of pressures and tensions due to a luxury development at 1979 Mission Street, at the corner the plaza, proposed by Maximus Real Estate Partners LLC. This would be a three-tower, 351-unit condo development, with unit prices ranging from $3,500 to $5,000 a month. The city considers the development an example of “transit oriented development” [TOD] because of its proximity to the BART Plaza. New zoning laws implemented with the San Francisco’s “Eastern Neighborhoods Plan” of 2009 were created to enable this kind of development in areas that were formerly home to a significant amount of blue color jobs in manufacturing, distribution and repair. The areas include the Mission District, Eastern South of Market (SOMA), Potrero Hill and the Central Waterfront. 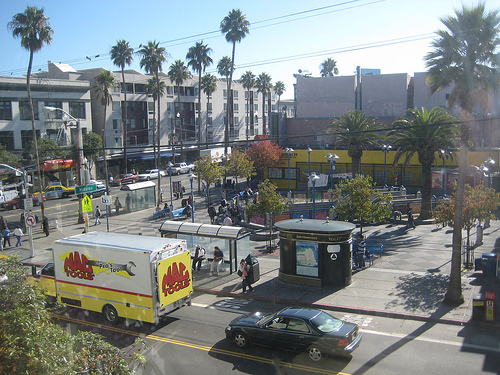 Once proposed, local residents, businesses, and community organizations immediately feared that 1979 Mission would further threaten the character of the neighborhood, the livelihood of small businesses, and the right to the neighborhood not only of the low-income transit riders but also the residents who benefit from the affordable housing, businesses, and social services that are in the surrounding neighborhood. 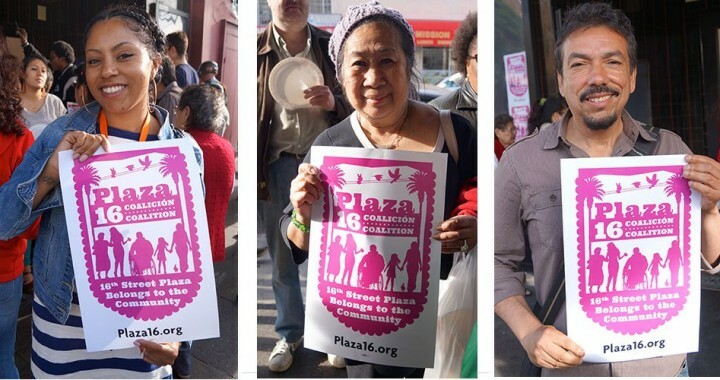 Many of these residents organized a group called the Plaza 16 Coalition. This group has its roots in the Mission Anti-Displacement Coalition (MAC), which formed during the gentrification wave of the first Dot-com boom in the late 1990s, and which had created its own “People’s Plan for Jobs Housing and Community” in 2005, in response to the Eastern Neighborhoods Plan. Here MAC sought “a community driven planning process done in an inclusive manner-- through community organizing, leadership training, focus groups and popular education --that ensures the participation of those members of our community who are disenfranchised, marginalized, and not usually heard.” Seeing that this inclusive planning process wasn’t happening at 16th and Mission today, the Plaza 16 Coalition formed. They emphasized four goals in regards to housing: (1) Develop new permanently affordable housing for extremely low to moderate-income individuals, families and seniors in the Mission District, while protecting the existing uses that provide working-class jobs, (2) Secure funding for development and conservation of affordable housing through Public Benefits Incentive Zoning; (3) ensure housing development promotes health; and (4) work to lower the cost of all new housing. 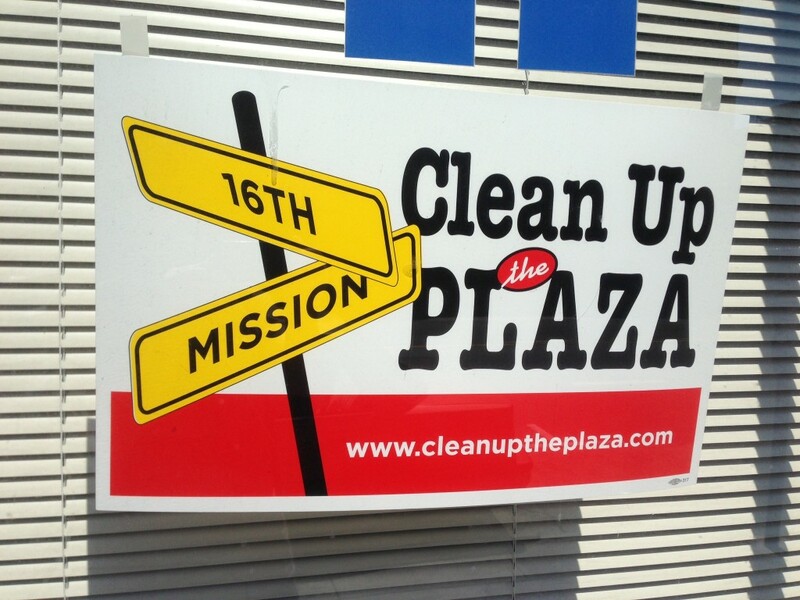 The "Clean Up the Plaza" appeared soon after Plaza 16 Coalition was formed, and put posters in neighboring businesses. The Plaza 16 Coalition, however, found Maximus’ claims to be contradictory. In the first place, they questioned how transit-oriented this project would be. Their plan calls for the installation of 166 parking spaces and 4 car share parking spaces, along with a basement parking garage, even though the city does not require any parking at this site. In addition to adding significant cost to already expensive apartments, these parking incentives will likely bring additional car traffic to the area. Meanwhile, many residents argue that, if not their cars, the most likely “transit” these wealthy new residents are likely to use will be the private buses that clog neighborhood streets as they shuttle tech employees from homes in the conveniently located Mission to their jobs in Silicon Valley. Similar to TOD tied to market rate housing and private transit across the country, Plaza 16 argues, this approach will likely exclude and inconvenience low income residents, who are the bulk of riders for BART and MUNI, while generating greater congestion. 1. Susanne Jonas, “City of Refuge, City of Survival Struggles: Contradictions of San Francisco for Low-Wage Latino Immigrants.” Latin American Studies Association 43:2 (2012), 7–10. 2. Nancy Mirabal, “Geography of Displacement: Latina/os Oral History, and the Politics of Gentrification in San Francisco’s Mission District.” The Public Historian 31:2 (2009), 7–31. 3. Anne M. Nyborg, “Gentrified Barrio: Gentrification and the Latino Community in San Francisco’s Mission District.” M.A. dissertation, Department of Latin American Studies, University of California, San Diego, 2008. 4. Stephanie Pollack, Barry Bluestone, and Chase Billingham, “Maintaining Diversity In America’s Transit-Rich Neighborhoods: Tools for Equitable Neighborhood Change”. Dukakis Center for Urban and Regional Policy, Northeastern University, 2010.